My resolutions for 2015: Seeing a star filled sky and remembering the beauty of awe. To be “in awe” I think it is such a wonderful state to find yourself unexpectedly beholden to. Awe has with it a beautiful mix of joy, humility and wonder. Although the dictionary definition includes reverence with fear, as well as wonder, I personally have never felt fear and awe simultaneously. Many of my key experiences in my life have contained within them moments of awe. The thing about awe is that its presence doesn’t compete and conflict with other feelings. Yet awe has this capacity to take you out of yourself for the moment and breath in whatever the bewilderment there is before you. The one thing that seems to repeatedly strike awe inside myself ( I am sure like billions of others) is seeing an unobstructed starry night. 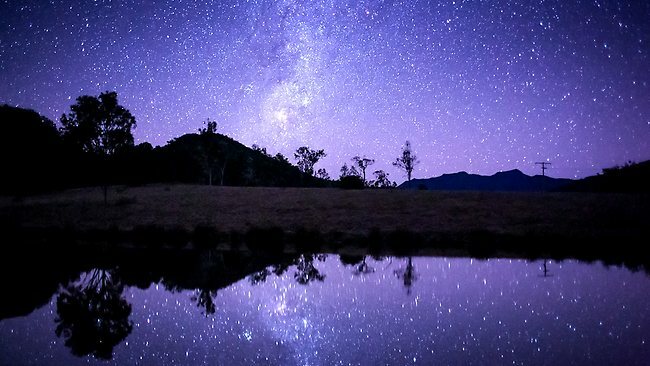 In certain parts of Australia that are remote enough to avoid light pollution, the Milky Way is lighten up in such spectacular way. So bright, that it seems to illuminate everything below it in its soft warm white. While camping on a beach at Pots Point in Northern New South Wales, I found myself gifted with one of those glorious starry nights. They shined so radiantly you could see their reflection on the water as the waves came in. Where the water met the shore there was this amazing mirror image of the stars cast across the beach. As you walked through the waves gently splashing, it was like walking across galaxies. It was one those memorable and awe inspiring moments. It was so quiet and it was like time had forgotten me, as I just stared up at this blanket of eternity. A feeling came over me of being completely insignificant, yet paradoxically feeling “part of” whatever this beauty was. To be humble in this case, really is to be true. As faced with awe, humility arises natural and effortlessly. Yet combined with that humility I find a certain kind of joy. A joy that I am actually alive and bearing witness to the billions of stars above. That over thousands years, people have looked at the same stars that invoked the same questions and conjured the same kind of awe. If there was something that defines our humanness over centuries and gives us common bond I think the awe of a starry night would be one of them. As it’s just you and your communion with this silent and timeless expanse. Coming back from those moments of awe all the troubles of life still remain. Yet an aspect of that awe can stay with you. It can be remembered and summoned when the weight of the world feels like it is coming down on you. As our awareness tries to grapple with knowing this world is so rife with injustice, unfairness and corruption, the awe of a starry night can temporally provide us a comfort and mental sanctuary. In hopeless and dark places, awe reminds us that there is more than this, more than what just appears to be. That whatever is going on, it goes on within the mysteriousness of this unfathomable bigger picture. As those star filled nights infuse me with a feeling that something is going on, something vastly larger than my mind could ever conceive. Not from a theistic or atheist view rather from just a human life in contrast to the billion year backdrop drop of the galaxies and solar system that our lives are forever surrounded by. I think most of us could do with more reverence in our lives. Not reverence to a concept, belief or idea, rather a reverence and respect to just what’s before us, this incredible world we live and the astonishing life we have been granted. As Carl Sagan stated “We are a way of the cosmos knowing itself.” I think that is such a beautiful line, as it means as we stare in wonder at the stars above we become the eyes of the cosmos revelling at the splendour of its own creation. So for 2015 I’m ditching the cliché resolutions of battling against the things I feel perpetually guilty about and instead I’m going to try my best to remember awe. Recall what it brings, how it feels and the unique kind of peace and tranquillity that accompanies it. I am going to go out of my way to go somewhere remote enough , that I can once again sit in appreciation and taken in the brilliance of the universe glowing. I would love to show my kids some of these sky’s I was privileged enough to star gaze while I was growing up in Australia. As watching kids “in awe” is just as joyful as watching the starry sky above then. If we are lucky we may observe how the enchanting sky momentarily captures their attention and gives birth to one life’s most beautiful experiences , awe. 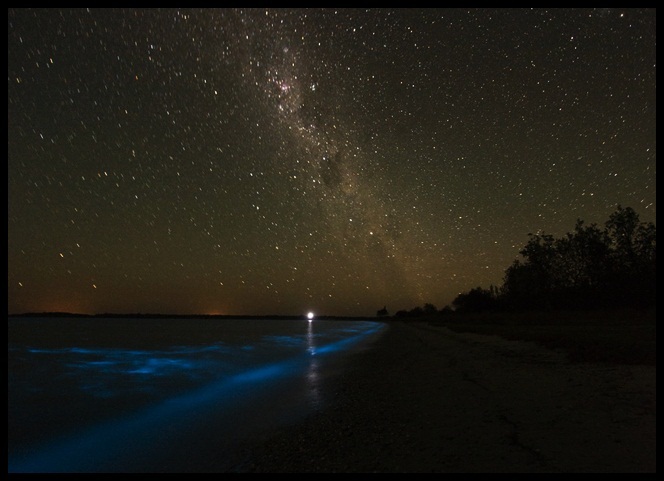 Second is taken from the Gippsland lakes where I grew up, listed as one of the 5 best places to see a starry night. 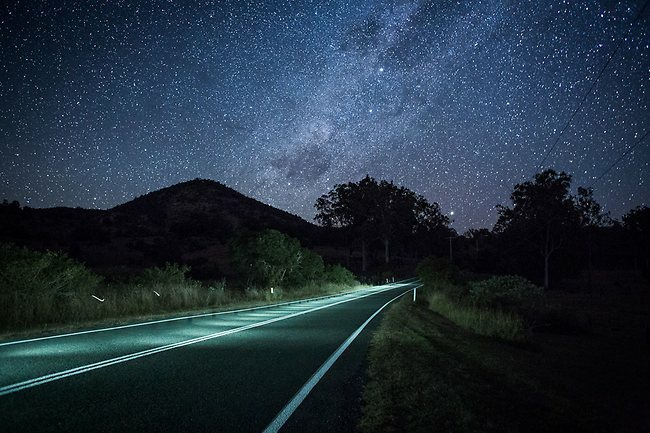 We enjoyed this post – big fans of night skies ourselves! …and of positive resolutions, plans and goals that drive us forward. Thanks Allison , glad you liked it.Also thanks for being such active participant in the blog and posts, its really appreciated by myself and Tim 🙂 I have been reading your blog GloryBegin and you write very well. I particular liked your article http://glorybegin.com/on-feeling-lost-and-not-giving-up/.It shows you enjoy your writing 🙂 Hope 2015 is a good one for you. I really appreciate your reading my work and I thank you very much for your kind words about my writing. That means a good lot to me! It’s rare to find folks who are willing to say some of the harder things and to write from a place of their own truth. I know I’ve found that in your blog and I thank you for it. Looking forward to some new endeavors in 2015! I wish you peace and joy along your journey, friend. Dear Mr. Nicholson, I came across your blogs quite by accident and have very much enjoyed reading them, especially those related to a worldview. In fact I’ve re-posted some on my facebook page, with due acknowledgment, of course. I was quite taken with this particular essay, since I do a bit of stargazing myself; living mostly away from cities for the past decade or so.and have shared the feeling of awe, which you articulate very lucidly. My sincere compliments to you.